I look at it this way. Your on a big paddle boat and the finish line is the ending of drug prohibition. At first the boat moves slow since hardly anyone is paddling and then with decriminalized and this drug sentence reform more and more people are getting on the boat to paddle it and once the boat is filled with more and more decriminalized states then we will finally cross the finish line. So with this reform the boat has now gotten a little faster and a step towards ending drug prohibition. I thought it was a different way to look at it that was kind of cool. We all know that Treatment is needed for these people instead of JAILTIME anyways? If they would have done this long ago there wouldn't be so many ADDICT's now? They should have took care of the problems when they occurred BETTER LATE THAN NEVER? Hope more States in the USA follow suit, cause ADDICTS who are locked up just go back to using when they are released. They need is TREATMENT & AfterCARE, & counseling. JOB TRAINING & housing might be a good place to start. I am one of the many people who started my life working young. I was taught to earn what I wanted in life. However, I was introduced into a cycle of my wants verses my needs. I allowed the quick flow of money I forced myself to make as a drug dealer to influence me. Although I was a college student with a GPA of 3.674 with a certification as a CNA. Unfortunately it wasn't enough for me. At the time I was only 19 years old. I was arrested and later convicted of a Class D felony. I lost my CNA certification and I was forced to stop attending college. I was only forced due to my lack of judgment to be a drug trafficker instead of the college student. My priorities were not straight. I then was left owing back financial aid and couldn't find any employment other than working as a waitress. Then my struggles began. I wasn't making enough money at my waitress job and began contemplating what I could do. I thought about how much quick money I use to make as a drug dealer. After selling drugs to get the things I wanted I felt it would make my life easier. However, my life was not. It became much more complicated than it was before. I was not able to keep up with myself. Feeling tired and having the demand of addicts at my door or on my phone at all cost. I became fatigue and began using. I did not recognize the harm I was doing to others or myself. I also thought rehab was what I needed. Going somewhere I could gather information reguardig my disease. Being an addict was not my only disease. I was also addicted to trafficking narcotics. If a judge had granted me to just go to a rehab it wouldn't have been enough. I am now 29 years old and resent myself for my choices, but I know now if nothing changes, nothing changes.I am still struggling but I have lost so much of my life to prison twice and multiple incarcerations for drugs I know there is something better out there for me! Today I am sober and enjoying life one day at a time! But I also know I would be where I am if I hadn't of went to prison and had some self reflection along with completing a substance abuse program. Some addicts need both jail and rehab. I know I did! Instead of feeling resentment I know feel grateful for all those who helped me receive my sentencing. I have completed 1 year of incarceration along with another 8 year sentence. I do not feel it has held me back, but has helped to improve my vision for my future! You have to work in all the right directions. Nothing has not been easy for me, but now I feel a sense of achievement! Achievement for the effort and right choices I am making now due to my experience as not only as someone with a felony record, but also as someone who is now experienced enough to know some people need both! I have read this bill completely and have seen it reported on a couple of different ways. With regard to the new regs surrounding marijuana, there is no stipulation on the amount of marijuana, so my reading shows that possession regardless of amount is a Class B Misdemeanor. Also, there is no penalty for trafficking in marijuana anymore either. I have consulted a couple of attorneys who are reading it this way as well. The law really seems to only affect whether a TICS charge or not (in the scheme of what is happening in KY courts right now). I work in the field, and I have NEVER seen anyone sentenced to prison for first time (or even second felony offense ) possession of any drug. If someone is in prison for felony possession, there is more to it than the possession, if they were revoked, it is because they have failed to attend treatment, continue to commit other offenses, failed to report to probation, etc. As far as possession of THC, never seen anyone sentenced to prison on that either, hell, they don't even arrest on simple THC possession in most cities. Even most first time trafficking charges get a shot at probation. For those that think making all of these drugs legal will fix everything, you are not in the field to see the destruction alcohol, illegal drugs and RX do to a family, a child, a community and how many of these drug and alcohol addicts are using they system and are on welfare and then commit welfare fraud. Those on probation are given the opportunity for treatment (inpatient and outpatient), many are still in denial and continue to commit crimes (not just drug crimes). 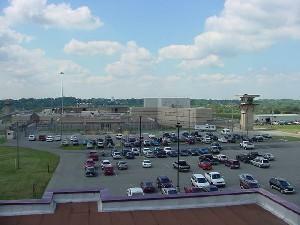 Dept of Corrections/Judges cannot force someone to complete treatment, but if they continue to use, commit crimes, and refuse treatment etc, we can at least lock them up to stop hurting themselves and others. there is at least much drug in prison as there is outside. Your argument is not founded on facts. Most court order rehab is marijuana. Which there is no serious withdrawl symptons. seriously.....!!!! You have never seen ANYONE sentenced to prison for possession? Look up covington and see all the prison sentences these people have handed out. What GD world are you living in? "And it removes drug offenses from consideration when judges impose sentencing enhancements based on previous felony convictions." Can someone who has read this tell me where in the bill it says this?? Does it mean that PFO laws would not kick in for someone convicted of drug offenses? My husband is incarcerated for Trafficking and is being hit with PFO 1st degree bc he has had two previous felonies that were not at all drug-related. This is his first drug offense ever. I must simply state that of all the substances declared illegal by state and federal law marijuana is truly the only one purely botanical, naturally occuring, nonharmful, substance of all governed. I continue to be astounded by the resistance towards a plant that reguardless of interference from humans or not would grow naturally across the world. It has been proven 100's of times over that the derivative of the plant it self contains absolutely no cancer causing carcinogens, none what so ever..In fact if one where to contract cancer likely from one of the many products our government backs such as (Alcohol & Tobacco) then marijuana has proven itself to be a most powerful tool in the treatment of such afflictions. Our country is based on freedom but is a far cry from that when a Honest Tax Paying citizen Is persecuted for using a naturally occuring plant in the privacy of his/her own home peacefully as a much milder substitue for the current legally acceptable alternative (Alcohol) which is completely intoxicating, and contribributes to an unspeakable amount of deaths throughout it's origins of use including severe directly related diseases, Birth defects, homicides, car wrecks, poisening, and countless violent atrocities which have been committed under it's influence. There Is not a single incident in the history of life on this planet where marijuana has directly caused a death via disease, overdose, intoxication related violence, or any similar side effect which you can see in present day america being Abundantly produced in our "socially acceptable"( Alcohol & Tobacco). I can not see any logic behind the prohibition of marijuana. I can only find Good use for this plant It has so many uses which could be utilized by our country such as a fiber exibiting one of the strongest naturally occuring substances known to be extract from a plant. Fuel, Food, Medicine, Pain Relief, Appatite seducer, clothes, soap, paper, and The worlds strongest rope made of natural materials. It mainly reduces anxiety and stress without causing a complete impairment and loss in judgement, such as alchohol or prescription drugs would deliver. One acre of cannabis produces as much oxygen and paper as 10 acres of trees, and the cannabis seed boasts one of the worlds most healthiest fatty acids which would be beneficial to livestock feed. I just want to here one Good reason other than the force fed propaganda we have endured why marijuana is unacceptable in our modern society. I have a son who is now in jail; arrested 1 week ago due to manufacturing metamphetamine. This is his first offense. Meth has taken him away from us. He is a good person and has a very supportive family. One thing i do know is he does not need jail or prison. He is a very sick young man and needs medical care and rehab. We are up against him having a charge that is false. There are so many new ways to make this drug. You do not have to have ammonia nitrate which they reported he had. One item you do have to have though is sudafed...there are states getting rid of this as an otc drug and making it rx only. Meth making is dropping 96% because of this. We need it completely banned!!! Sudafed is not a necessary medication. It is a simple allergy pill. Back to my son. He is from a small town 3000 population dawson springs. Meth is bad here and my son has become a victim of it. We are scared because we dont feel like any one wil help him. 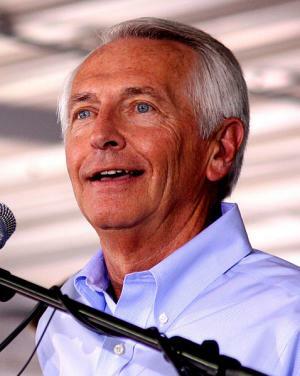 I made an error in my comment to Steve Beshear about my son being charged with having ammonia nitrate. Correction it was Anhydrous Ammonia, which was not in his possession. I can only hope that this is corrected as he goes to Grand Jury. I want to repeat my concern on how there are many different ways of making meth. Sudafed is the biggest problem, and yes possibly Anhydrous Ammonia, which is a dangerous product, but if we begin by taking sudafed off the otc purchase and make it rx only, this will decrease meth manufacturing. Sudafed is not a necessity to have for allergies or colds. Completely banishing it from being made could stop a lot of the manufacturing meth. My son also is most likely going to be sent to prison. The new law has not changed anything about meth labs no matter how small. I have also done a crash course in meth. My husband and I do not even use tobacco. What I have found out tells me that my son is addicted (it only takes 1 or 2 hits and what it does to your brain........). What I can not wrap my head around is: They have lessened the penalty for distribution which hurts someone else but if you are really hooked on the stuff your going to get it some way and if you can not afford it you will make some out of desperation. Someone who is hooked to that point needs inpatient rehab not prison where they come out worse than they went in. I typed in how to make meth and there are even vidio instructions--many of them. How is that allowed?? It's likean open invitation to try it!! I'm in my 60s and I'm facing the real possability I may not live to hug my child again. Maybe someday they will finish what they started with hb463 but it will be too late for my family. I too have a son sitting in jail on possession of meth. I just recently found out that he has been a user and a full fledged addict for 7 yrs. He has done a very good job of hiding it from the rest of the family. He is now a junky. I found needles while cleaning out his vehicle after his arrest. I have arranged for long term (9 mos-1 yr) in patient rehab followed with short term live-in/halfway house continued rehab. The Court continues to ignore my pleas to send him immediately to these facilities. The county attorney wants to prosecute him a persistent felony offender which carries 5 to 10 yrs in lockup. His first felony was robbery of a drug dealer. ha go figure. He spent 4.5 yrs in prison for that with no incidents during parole. How do I get the court and County Attorney to make the RIGHT decision and get him the help he needs. Please help.....and by the way, stay away from Hardin County, Ky if you want intelligent decisions made concerning yourself or your children. The court system here is a revolving door system. The Commonwealth Attorney's office is unapproachable. It's about money not the welfare of its people..
What is usually the penalty for a first time felon charged with trafgicking in herion class d felony? I have a friend who was on probation and was given the rocket docket where for one year couldn't get into trouble and his case would be cleared but he now has a 1st offense do to low pill count for his meds. I hadn't realized to turn in the person who stolen the pills from him till after he was arrested so i doubt it would even help now, but he had court but his lawyer couldn't make his court date so the judge said if you can get you lawyer to make another date sooner we will have it then and the lawyer told us that he thinks it would be a good idea to stay in jail for the time being till the date the judge gave him, the lawyer said the P.O. is wanting him to serve his full sentence, when he was arrested there was no bond. but i would like to know what they may do now on his next court date. is there anyone that can please tell me anything? My husband has not had a fighting chance with this system ,He is good man hard worker ,would love to work support his family .But he keeps paying for same mistakes he made years ago ,He has been out on parole since June 2009 ,he has hard time from the start getting a good job ,He finally gets one and this past year the law comes busting in on us early morning Nov 23 2013 ,he was arrested for trafficcing again the cops showed no warrant his parole officer let them they search found nothing ,he was still arrested ,indicted ,he was indicted on his past record ,please tell me how can they charge him on his past .they slander his name drag up every thing ever done put in newspapers on the news ,and he lost his job.Now still fighting in court to keep from be sent back to prision ,the wiitness they have against him has a worser crimal record than he does the wittiness was on parole for alot worser crime than my husband ,please tell me how the system can be so un justice ,charge someone for their past record .